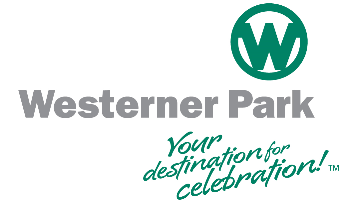 Westerner Park is Western Canada’s Event Centre…Your Home for Celebration! We provide premier facilities and service for agriculture and trade, sports and entertainment, conferences and meetings. We are community and team focused and continually growing. The Controller, under the direction of the Chief Executive Officer, will primarily be responsible to analyze and interpret financial and accounting information in order to appraise operating results in terms of profitability, performance against budget, and other matters bearing on the fiscal soundness and operating effectiveness of the organization. This position will provide guidance in the development of the annual budget and long-term financial plans. This role will also administer the organization's funds according to the approved budget, and monitor its financial expenditures. As the Controller, you will also have an accounting team that you will lead and manage. · Deduction and remittance of employee benefit program including group insurance, WCB, etc. · Preparation and filing of CRA payroll remittances, T4 information, RRSP, etc. Westerner Park provides a competitive compensation package including health and dental benefits, Employee and Family Assistance Plan, Group RRSP and more. This job description is not intended to be all inclusive and Personnel may perform other related duties as requested to meet the ongoing needs of the organization. Important Message: We thank all those who apply. Only those selected for further consideration will be contacted. This position will remain posted until a successful applicant is found.